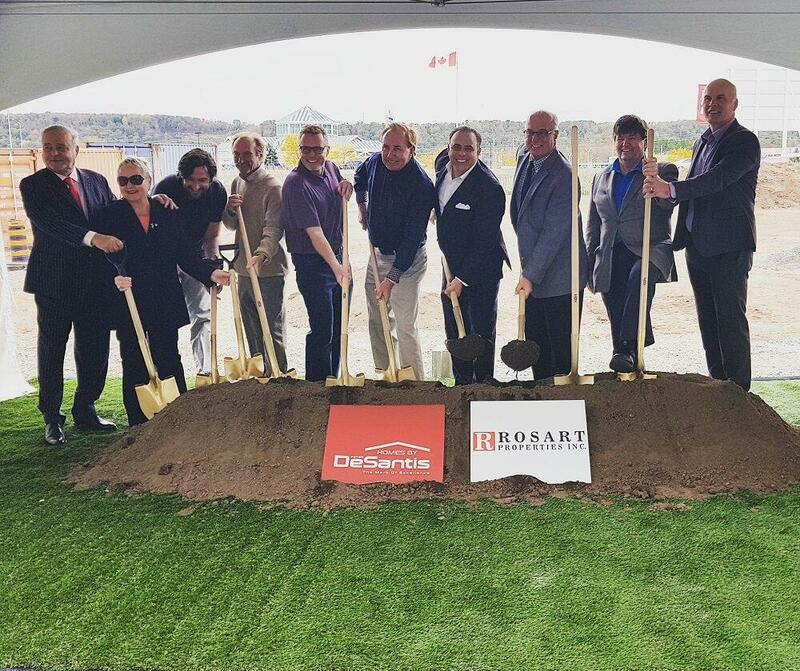 Last week, Homes By DeSantis and Rosart Properties celebrated the official groundbreaking of the Casablanca Corporate Centre, a new state-of-the-art office building in Grimsby. Located at 13 Windward Dr. between Homes By Desantis’ new AquaBlu Condominium and the QEW, the Casablanca Corporate Centre is being called one of the most ideal business locations in the Hamilton/Niagara Region. The building is a stone’s throw from Lake Ontario and situated between Toronto and Niagara. There’s a bus stop near the building, and the proposed GO Train station will connect you and your employees to other parts of the surrounding area and to the Greater Toronto Area. Rising five storeys and featuring 60,000 square feet of office space, the Casablanca Corporate Centre is the first of its kind in Grimsby. The construction begins at a time when Grimsby’s waterfront is undergoing a massive transformation from a residential perspective, and Homes By DeSantis is playing a leading role. AquaZul and AquaBlu are two incredible condos on the waterfront, and Century Condos is another new condo by Homes By DeSantis, planned for downtown Grimsby. Scheduled for a spring 2019 opening, Century Condos will feature commercial space on the ground floor, as well as space allocated for a new restaurant. If you’re curious about the high quality craftsmanship Homes By DeSantis has to offer, you should check out one of these ready built suites at AquaBlu. The three-bedroom townhome features 1,774 square feet of living space and 866 square feet of outdoor space. A few of the impressive finishes include hardwood flooring, quartz countertops, and elegant cabinetry. 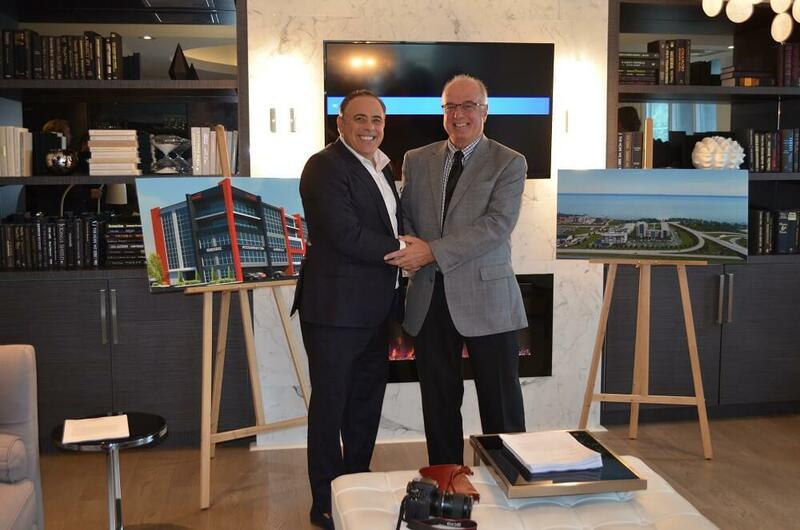 Homes By DeSantis is so committed to Grimsby that they are moving their headquarters to the new Casablanca Corporate Centre! The office building is currently in the pre-leasing phase and will eventually be home to many other AAA tenants. There are office layouts ranging from 1,000 to 50,000 square feet available, so call 905-664-7288 for more information!